1/2 Day - 4 hours, equipment must be returned by closing. We allow 1 additional hour for travel time. If equipment is returned late, the normal rental rate will apply. Full Day - 24 consecutive hours from time of rental to time of return. 8 hours of run time allowed on metered equipment. Any overtime will be charged at the prorated rate. Weekend Rate - Pick up equipment Saturday between 8am and Noon. Return equipment by Monday at 8am with up to 8 hours metered use. Same price as Full Day rental. Any overtime will be charged at the prorated rate. 1 Week - 7 consecutive days from time of rental to time of return. 40 hours of run time allowed on metered equipment. Any overtime will be charged at the prorated rate. 1 Month - 28 consecutive days from time of rental to time of return. 160 hours of run time allowed on metered equipment. Any overtime will be charged at the prorated rate. Payment is due at time of rental unless you have an open account with us. All customers are required to show a valid driver's license and leave a credit card deposit. Credit card may be charged if there is a balance due at completion of rental i.e. fuel, cleaning, damage, late fees. Delivery and pickup are available at very reasonable rates. 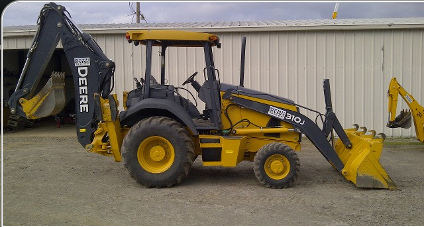 Rates vary according to size of equipment and mileage from Mitchell Rentals. Please contact the store for a delivery quote. We encourage you to reserve the item you will be needing as soon as your plans allow, so we will have what you need when you need it and be able to deliver the equipment if necessary. We ask that you let us know as quickly as possible if you have an item reserved and your plans change. The customer must choose the proper equipment for the job and insure the operator is qualified to operate and haul it. We encourage all customers to plan ahead, ask questions, call for locates on utilities in your work area, and obey all state and federal laws. Rented equipment is the responsibility of the customer until it is returned and accepted by Mitchell Rentals. Equipment must be returned clean to avoid additional charges. Please inspect equipment before leaving the rental yard. You must have flat tires repaired or replaced before returning equipment. Customer must stop using any defective or malfunctioning equipment and immediately notify Mitchell Rentals. If the equipment is lost or damaged in any way, the customer will be charged the full replacement cost in addition to the rental cost for the equipment. We are here to help you complete your job as efficiently as possible. We will help you choose the right equipment and show you how to use it. Please feel free to ask questions. All equipment goes through our multi-point inspection process to make sure it is ready for your project. It will be delivered clean and with a full tank of fuel. If your rental equipment malfunctions or breaks down, we will make every effort to satisfy your needs. 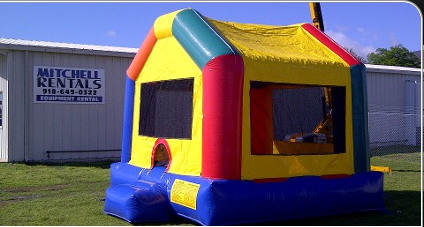 We do not offer any performance guarantees or warranties for rentals. Items requiring fuel are full when you receive them. Please fill them with the proper fuel prior to return. Due to our small fuel capacity, we charge a premium for refueling items upon return.